How can jurists hold people legally accountable for their actions if there is no one, certain and ‘objective’ way of reading the law’s rules? How can we award monetary damages or send people to prison if legal rules have multiple meanings and numerous ways of being interpreted? 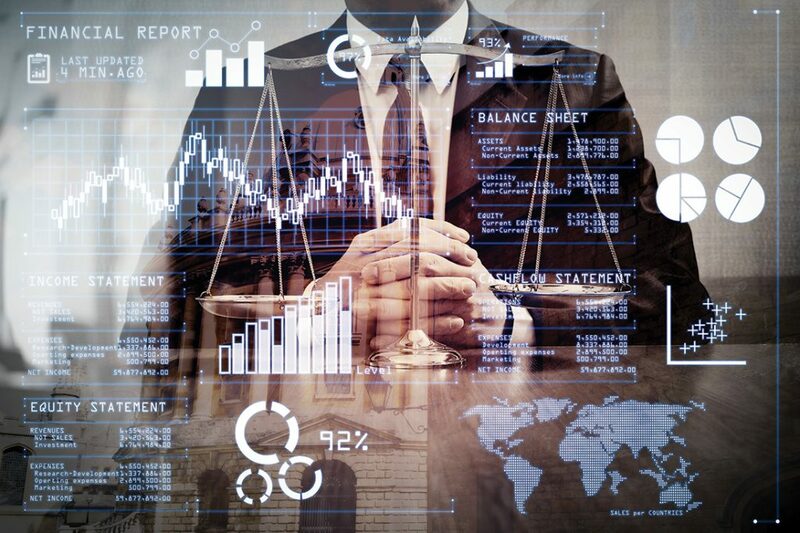 Professor Katja Langenbucher of Goethe University’s House of Finance, Frankfurt, and SciencesPo, Paris, has explored to what extent economics may be useful when guiding legislative and judicial decision-making towards more measurable and predictable results. Legal systems will typically have two answers to the challenge of vague rules, claims Professor Katja Langenbucher of Goethe University. Internalists will argue that interpretation guides us towards the answer, even if the rules are vague and cases hard. Externalists will look elsewhere, pointing to support from other disciplines, with more hard and fast methods. 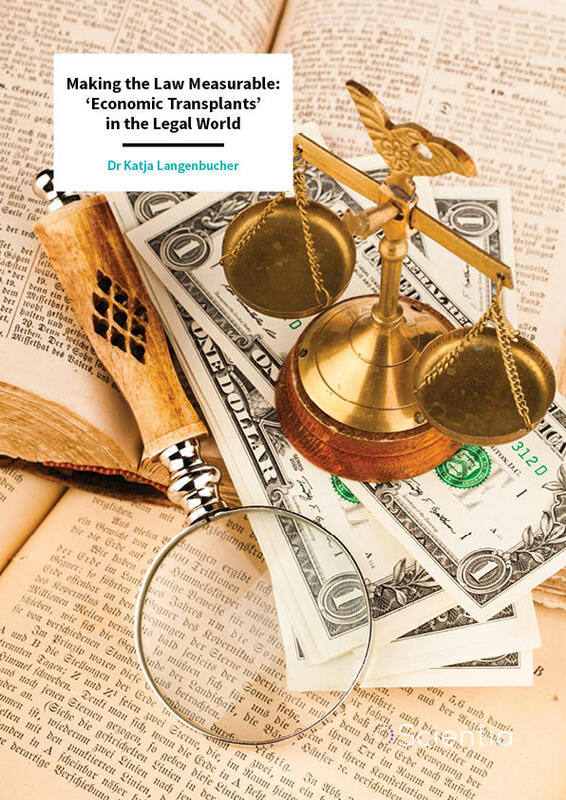 In her book, Economic transplants – on lawmaking for corporations and capital markets, Professor Langenbucher makes extensive use of the term ‘reasonable investor’, which is common throughout securities law. A reasonable investor can be interpreted in many ways. She could be a trader, looking at the fundamental value of a stock or instead interested in arbitrage opportunities. She could also be a fictional person, aggregating all kinds of empirically measurable trades. She might of course also be an unsophisticated retail investor. Instead of going through the pains of an internalist interpretation, an externalist may offer jurists clear guidance: a ‘reasonable’ investor can be interpreted as the ‘rational’ investor that the Efficient Capital Markets Hypothesis relies upon. This is an example of what Professor Langenbucher calls an ‘economic transplant’ – developed in a neighbouring discipline and ready to be inserted into law. Temptingly, this discipline is not only neighbouring, but also similar to a ‘hard’ science with more rigid methods than those of the law. In her book, Dr Langenbucher’s argument proceeds as follows. 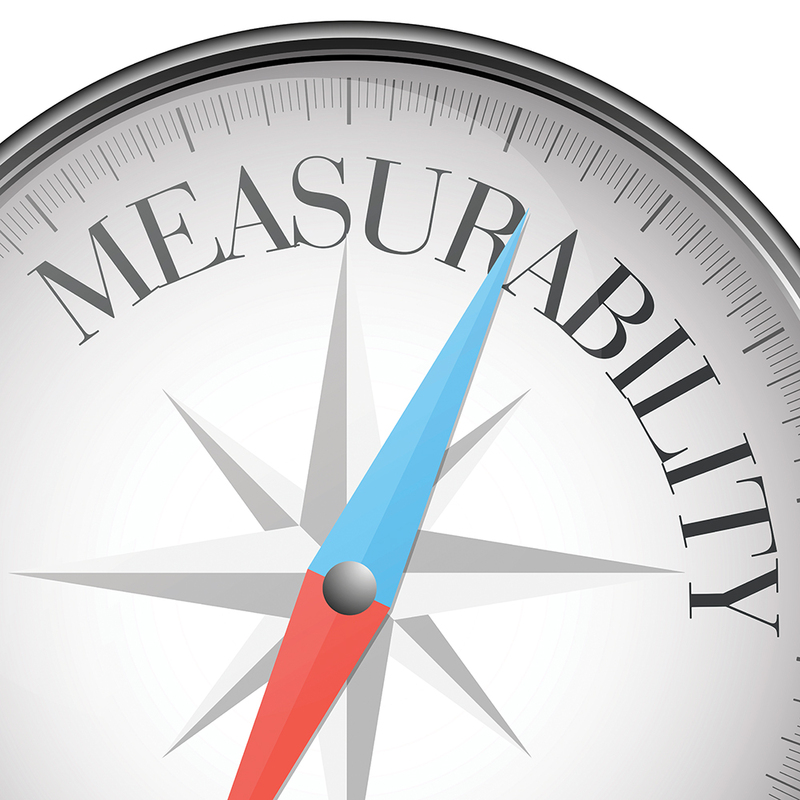 There are a number of obvious reasons why measurability has fascinated jurists, especially in the area of corporations and financial markets. But, firstly, there are significant differences between legal and economic methodology to keep in mind. If taken into account, they usually make for much less measurability than one might think at first glance. And, secondly, the focus on measurability and objectivity has important implications for the intricate balance of power between political actors, involving lobbyists, jurists and experts. The internalist jurist understands his endeavour as participation in a common legal enterprise. Any legal question will start with a legal text. By interpreting such texts, he will try to establish what his legal system’s answer looks like. 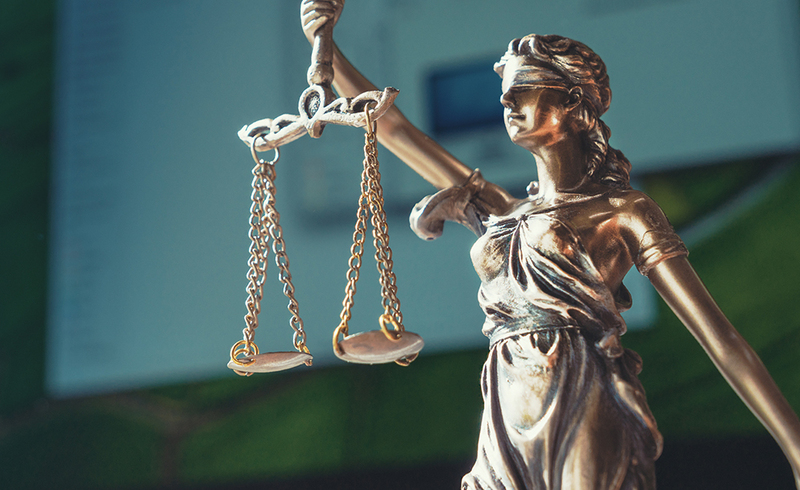 This will entail suggestions of how different rules fit together and what their underlying principles and values look like – a quest for ‘justified belief’ and a ‘reasoned justification’. The externalist is not concerned with participating in a common normative endeavour. Rather, he observes legal rules ‘from the outside’. Rules, for him, are ‘signals’, allowing for predictions on human behaviour. Observing the workings of rules in this way has led to two fundamentally different reactions among externalists. Some, which Professor Langenbucher has called ‘externalist sceptics’, have been lamenting the vagueness of most rules, claiming that it is impossible to predict the decisions of courts. Others, which she calls ‘externalist scientists’, offer help. They single out rules that do not work efficiently if benchmarked against a specific, measurable goal or standard, such as liquid capital markets and shareholder rights. An externalist might suggest to replace the vague term ‘reasonable investor’ by the concept of a ‘rational investor’, introducing an economic transplant. The somewhat elusive legal concept of the ‘reasonable investor’ profits from the rigid methodology of economics. The ‘rational investor’, being a clearly defined concept, brings clarity and precision to an otherwise painstaking process of coping with vagueness and weighing different rules and principles. This shortcut, Professor Langenbucher argues, lies at the heart of the promise of measurability – one of three promises of economic research that she explores in her work. Making the Law Measurable for Legislators? Such a shortcut will appeal to legislators and judges. For the legislator, Professor Langenbucher explains, shortcutting comes in the form of slimming down political debate. Public discourse on why and how to regulate will be streamlined. Certain arguments will be deemed to not work, while others will be singled out as the relevant ones. Professor Langenbucher uses the regulation of CEO compensation in financial institutions as an example of something that has occupied lawmakers for a number of decades. Legislators face numerous lobbyists and interest groups from many backgrounds. In this situation, it might seem tempting to have a shortcut argument ready. Management remuneration, one might suggest, is not a political problem, but one of measurement. At its core, compensation would appear to be about aligning the interests of shareholders and managers. We are then facing an intriguing math problem: how can we structure a remuneration package that will make management work towards rising share prices, allowing them to be rewarded and at the same time shareholders to profit? Stock options have long provided the answer to this question. Rising stock prices have allowed managers to cash in options at an attractive price, while shareholders have profited from an increase in the value of their shares. Managers’ pay, suddenly, became a technical issue. Experts could be called upon to deliver a ‘scientific’, measurable answer. Rules on management pay were not about fairness, redistributive justice or inequality, but about incentives. The best rule was the one allowing for the most efficient alignment of interests of principals and agents. But what about the judiciary? Doubtlessly, judges are not facing the political pressure a legislator is exposed to. There are no expert hearings on what the law prescribes and, typically, there are no political activists, lobbyists or interest groups heard in a courtroom. Rather, the judge is the paradigm internalist. She has a participatory role to fill, applying her country’s law to what the parties in her courtroom claim. Continental judges, Professor Langenbucher concedes, will often not be drawn towards promises of measurability at all or only use such arguments here and there, as support for decisions they have reached on other grounds. However, sometimes judges may understand a case at hand as calling for deferring to another discipline – such as economics – for understanding the ‘reasonable investor’. If judges imported a version of the ‘rational investor’ used in models on the efficient capital markets hypothesis, an economic expert could set up a model and propose a seemingly neat, quantifiable answer. Looking closer, most economists would hasten to add qualifications, Professor Langenbucher explains. They would point to differences in measurement, and to the need to differentiate and make careful distinctions. But political discourse is often adamant to subtle tones and prone to using ‘economic clichés’ instead of more differentiated theories. The more objective or scientific an argument that is presented, the more powerful its impact. There is less need to reach agreement on a political level, if ‘exact benefits’, as the EU Commission often puts it, can be identified. The state appears as rational, ordering merely what can be measured and proven. Professor Langenbucher has identified an interesting link between the promise of measurability and power structures in political processes. If large parts of legal regulation are about measuring and quantifying, so she suggests, are they not best entrusted to experts who can do this job best? The European ‘Lamfalussy’ process, introduced to answer to specifics of lawmaking for financial markets, is a prime example of how experts take over, Professor Langenbucher shows. The core concept underlying this process is a separation of framework directives and delegating or implementing measures. Only the framework directives follow the rules on procedure and competences, involving both the EU Commission and Parliament. As to delegating and implementing directives, Parliament does not participate. Delegating directives are passed by the Commission. Implementing directives are too, but heavily draw on input by the European Securities and Markets Authority, an expert committee. One consequence of involving experts in lawmaking processes is the danger of crowding out the participation of a broader political audience. Technical knowledge is produced by specialists in their field, which results in high entry barriers for political actors who do not have a similar expertise. The technical language of experts discourages the public from engaging in political discourse. Professional arguments will seem non-negotiable to those who are not in a position to take part in ‘expert talk’, Professor Langenbucher shows, because they lack technical training. Thus, large parts of the law risk being drafted behind closed doors. Behind closed doors, we are likely to find problems of ‘capture’. This term refers to the risk of regulators being captured by those who are regulated. Capture, Professor Langenbucher explains, will usually take the form of intense lobbying, leading to different effects on the side of the captured agency. Scholars have identified effects such as identification with the regulated industry, sympathy with problems the regulated entities encounter and lack of tough enforcement. In her most current research, Professor Langenbucher explores whether artificial intelligence will lead to ever more comprehensive promises of measurability. Artificial intelligence may be able to deliver an assessment of outcomes based not only on statistical probability but also on machine learning. It will deliver legal services, approve loans, manage assets, check credit worthiness, assess risks or replicate market movements for any given situation. It will be the legal world’s challenging task to understand the extent of measurability that artificial intelligence entails and the place where normative decisions are called for. 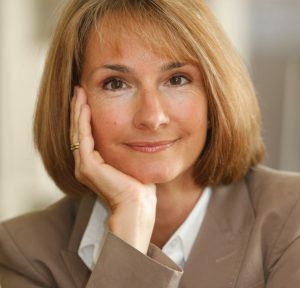 Dr Katja Langenbucher received her PhD in Law from Ludwig-Maximilians University, Munich, Germany in 1995. Since 1995 she has held tenured and visiting positions at universities in Germany, the US, the UK, Austria and France. She is currently serving as a Professor for Private Law, Corporate and Banking Law at Goethe University, Frankfurt, and is a Member of Frankfurt University’s House of Finance. She is also an affiliated professor at SciencesPo’s école de droit in Paris. Her research focuses on corporate and financial markets law and on legal theory, with an emphasis on corporate governance, securities law and theoretical issues of law and economics. She has recently published a book entitled Economic Transplants – On Law-making for Corporations and Capital Markets. 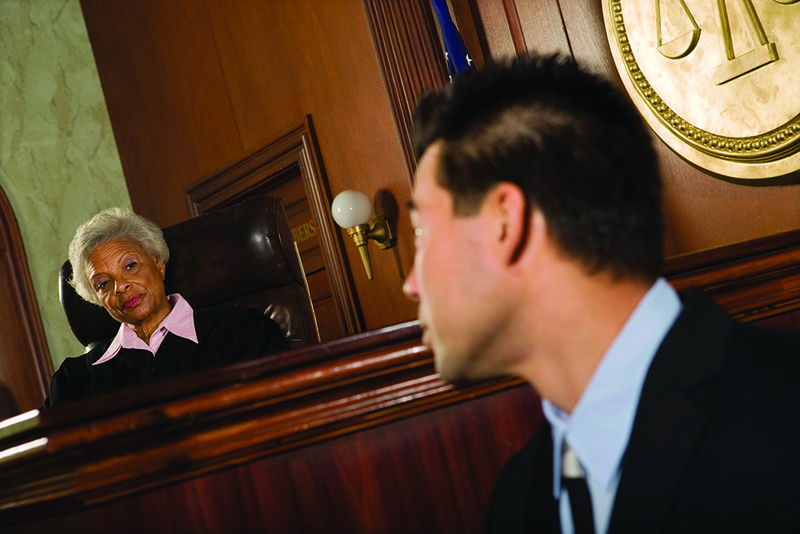 The book explores the effects of integrating economic concepts into the legal system.